Thanks to Block Posters, they have made it simple for us. 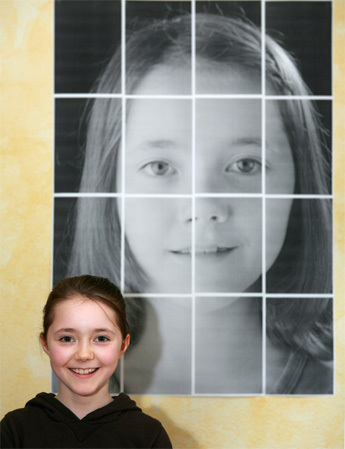 Creating posters from your photos or any image is a simple process, when done with Block Posters, You get the tiles or rectangle section of the big picture in PDF format, which can be printed and assembled to get the poster from your photo. It’s a simple 3 step process as below. Upload the photo. The higher the resolution the better the blocks will be made. Choose the specifications for poster, width of poster (how many pages wide will your poster be), Size of each page, while on this page you can also get to know what will be the size of your poster. Almost done, now simply, download the tiles which are in pdf format, as one file. Print each page of file, which is actually a tile, assemble these tiles now and your poster is ready. Try Block Posters, and make posters from your favorite photos for free and show off your talent and express yourself. So whose poster are you going to make now? Share with us, how did you like this service.